The editors of Saveur—the ultimate food magazine—have applied their magic touch to a series of cookbooks. 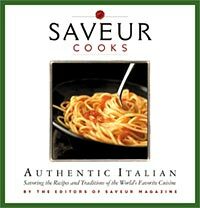 In Saveur Cooks Authentic Italian, we are literally transported to the homes and kitchens of Italy. The writing is captivating and informative, the recipes flawless, and the images of food, people, and places perfectly conveyed with the stunning photographs by Christopher Hirsheimer, as well as B&W period photographs. This gorgeous book is the third in a series that also includes titles on American and French cooking. Much of the material will be recognizable from the pages of Saveur Magazine, however, much has been added and reworked to make it a cohesive and complete cookbook. Contributors include such well-loved authorities as Marcella Hazan and Lidia Bastianich. However, Saveur’s real knack is for going straight to the source and getting to the heart of a cuisine through their profiles and real-life stories of home cooks and purveyors—local traditions of everyday Italian cuisine—making it all the more accessible and informative. From Spaghetti ala Carbonara, Ravioli di Zucca, Risotto con Scampi e Radicchio, to the Ultimate Pizza Dough with Margherita Topping, the more than 120 recipes represent the fresh ingredients, unpretentious and casual home cooking that Italian Cuisine is so loved for. The no-fail, dishes are all tested in Saveur’s kitchens, and presented in a clean, easy-to-follow design. 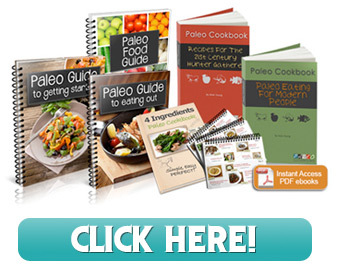 All in all, a stunning package showcasing a much-loved cuisine. The perfect gift for any food-lover. Excellent! One the Saveur book series, all of which are great. Cheers, Michelle.